Thank you for visiting the Ohio River Trail Board of Directors website. 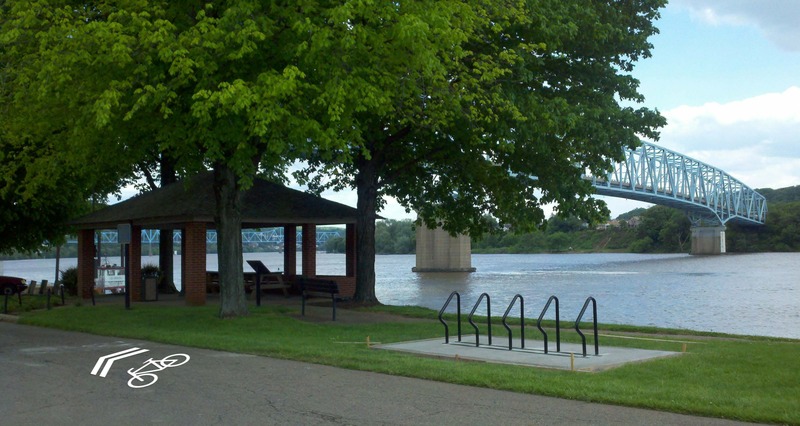 The Ohio River Trail (ORT) is a pedal and paddle trail composed of two entities, the Ohio River Water Trail and the Ohio River Greenway Trail. The Ohio River Greenway Trail is an important proposed route that would interconnect existing land trails in Maryland, Pennsylvania, Ohio and West Virginia. Our objective is to complete the Cleveland to Pittsburgh Greenway or Ashtabula to Pittsburgh Greenway. The Ohio River Trail project is spearheaded by the Ohio River Trail Council (ORTC), a volunteer-led, non-profit organization located in Pennsylvania, which works to bring individuals, groups, councils, communities, businesses, recreational users and all levels of government together to reclaim, restore, promote, protect, and preserve a continuous corridor of natural and cultural resources along the Ohio River and its tributaries. The ORTC's goal is to honor our past and build our future by providing recreation opportunities, heritage development, environmental stewardship, brownfield remediation, safe transportation networks and economic stimulus. Today, the Ohio River Trail Council’s purview includes the Beaver River to New Castle, extends down the Connoquenessing Creek to Zelienople and stretches along the Ohio River from Coraopolis to the Little Beaver Creek in Ohioville, Pa. This website is dedicated to the development of the Ohio River Trail and contains a plethora of information regarding the design and construction of the upper Ohio River greenways and blueways. The Ohio River Trail Council is an organization committed to excellence, with a clear vision and a passion for delivering outstanding results. We ask you to work with us to capitalize on these strengths. The Ohio River Trail Council membership plays an integral role in the continued development of the ORTC’s Land and Water Trails, as well as our ability to serve southwestern Pennsylvania riverfront communities through advocacy and planning. The council would like to invite you to become a member and support our efforts in making the Ohio River Trail a reality.